The new Dragon Ball Z film has been getting a lot of hype so far and with good reason. It brings back the ultimate Saiyan known as Broly and re-imagines his character under the Super banner. 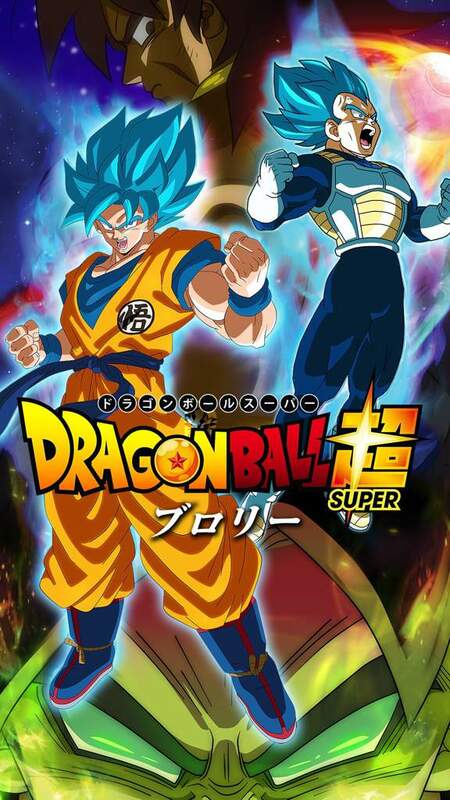 As the first two movies came out before Super was even a thing, this is effectively the first film in the series. It’s certainly an excellent starting point as this makes my top 3 films for the franchise. It pretty much does nothing wrong. The film starts off with a long flashback showing how Broly escaped Planet Vegeta along with Goku, Raditz, Nappa, Vegeta, Paragus, Beets, and other Saiyans. With how these saiyans lived it is feasible that more could pop up at some point which would be hype. Of course you ultimately know how this part of the film is going to end. Frieza wipes everyone out and then we cut back to the present. Pargaus and Broly have survived on their desolate planet for decades until two of Frieza’s bounty hunters show up and recruit them to the cause. Frieza may not like Saiyans but even he will admit that they are useful in combat. He decides to use Broly to finally destroy Goku and Vegeta, but can this Saiyan accomplish such a feat? Naturally the film excels because of the present era scenes. The flashback part is fun and all, but the whole time you’re just waiting for the big fights. Still, I’ll quickly get this part out of the way. There’s been a lot of talk about how different Bardock is here compared to his original version. That one still has more personality and heart but this heroic one works well enough I suppose. He’s just not going to be the Bardock that you’re used to. King Vegeta is the same as always, he’s as scared and fearful as ever. In the flashbacks, Paragus is actually the best character. He really wants to save Broly and does a good job of rebelling away from the Saiyans and getting to him. It’s a shame that he ultimately goes kind of crazy and starts resorting to shock treatment. That’s the point where you definitely can’t root for him anymore. He’s simply too far gone by that point. Still, he was cool while he lasted I suppose. There’s not much more to say about the intro. It’s handled as well as a flashback can be. The film really starts once Goku and Vegeta arrive at the ice continent. Of course Broly is there with the gang and he quickly starts the fight with Vegeta. Here’s where the power levels start coming into play. It’s a good thing that the scanner broke since it seemed to be stopping at a power level under 100,000 for Broly’s base mode which would make absolutely no sense. Considering that his base mode seemed to be above Super Saiyan God level, it would be in the billions/trillions. Throwing out the scouters is always a really good idea if we’re being honest. So, Broly is so strong that in base form he’s fighting Super Saiyan Blue. You can see how crazy this is. You almost feel like by the time he goes Super Saiyan he should be way above the others. It’s hard to say, but his Super Saiyan does still seem to be different from the normal levels like in the original films. With the way it taps into his primal form it acts like Super Saiyan 4. It’s hard to say what the multiplier on it is, but to be safe we can say it’s a 50X boost like with SSJ1. It makes perfect sense that Goku and Vegeta even while teaming up can’t handle that. It would have made no sense if they could so I’m glad they were getting steamrolled. Throwing in fusion is always a good way to remedy this since it multiplies your abilities which still makes it the strongest option. As of this movie, it’s fair to say that the power levels play out like this. 1. Vegito/Gogeta 2. Final Form Broly 3. Mastered Ultra Instinct Goku 4. Jiren 5. Broly 6. Kefla 7. Vegeta Super Saiyan Blue Beyond 7. Goku Kaio Ken Blue 8. Toppo, then from there it gets tricky. I think it’s fair to put Beerus somewhere to close out the top 10 I guess. If not, he at least cracks top 20. I’d say that the angels should be around 5-6 level. Still, it’s cool that not counting fusions Broly is the strongest being in the series. This isn’t counting spinoffs like Heroes where he does have some serious competition. I’m sure Broly will only get stronger here although based on the ending I don’t think we’d see Broly at this level again for quite some time. His sheer durability with how many times he would just get up again was most impressive. The guy just wouldn’t stay down and showed a lot more determination than the other characters. In particular Vegeta didn’t really treat the fight with as much seriousness as you’d expect. He very quickly bowled out of the ring once he was knocked down. I like to think he would be fighting harder if the stakes were higher, but I suppose he doesn’t care quite as much since Beerus and Whis are still here so they could handle things if worse comes to worse. While Vegeta was ultimately no match it was still nice of him to help Broly get into fighting shape to take on Goku. As always they show that Vegeta seems to be a little weaker in each of his forms in comparison to Goku. Goku just seems to know more hand to hand skills and even other energy abilities that Vegeta does not have a handle on. Since Goku has no Ultra Instinct anymore (At least he can’t activate it at will) I’d give Vegeta the overall edge since I’d consider Super Saiyan Blue 2 to be superior to the Kaio Ken since it has more stamina, but it is close. Vegeta will need a new form if Goku ever masters Ultra Instinct. Overall, Vegeta was pretty solid here. Still the second fiddle and all, but he puts up a reasonable fight. Of course Goku also does pretty good here. While he’s definitely outmatched, Goku actually does start to hold his own once he enters Super Saiyan God mode. The rest of the forms are so much weaker than Broly’s base that there isn’t much point in using them for long. I also do like that he tries to enter Ultra Instinct even if it didn’t quite work. Had he tapped into that and ended the fight quickly he probably could have won. I think Super Saiyan Broly would be too much for him, but the base mode he could handle. Goku did a good job in realizing that something was up with Broly the whole time. Even if he was a little naive about Frieza, Goku definitely looked solid here. While Broly stole the show, his two sidekicks were pretty reasonable as well. Cheelai and Lemo are these two characters. Lemo is an old pilot who’s seen his fair share of action. I don’t tend to be a fan of the old character whose only trait seems to be his age, but the guy was pretty reasonable here. Cheelai is also solid as she steals the zapper with ease and is supportive for Broly the whole time. He definitely managed to find two pretty good friends so I wouldn’t mind if they continue to show up. I do hope they don’t get taken hostage in a future film though, that would just be annoying. Of course Frieza also gets a big role here. He didn’t plan to attack the heroes just yet, but Broly changes things. Still, since Frieza hasn’t trained yet he has still fallen behind the main heroes in power by a considerable amount. He’s honestly not a threat to them as he is now. Still, I don’t get why he didn’t jump in to try and finish the heroes while Broly was fighting. Taking on a weakened Vegeta would have made sense, especially since they had no senzu beans handy. It just seemed a bit odd that Frieza was watching the whole time. I almost feel like it would have been better for Frieza to never have made it to Earth and to just send Broly and Paragus there. It would have made a little more sense. Still, it was cool to see him get to fight Broly a bit so I’m glad that was included. Of course the animation is top notch. It’s all very smooth and the fights operate at a high speed. I was certainly concerned when the first animated teaser came out for the film because it all looked very off, but the rest of the film looks a lot more traditional. Once the full trailers came out I knew it was going to be hype and the action delivers. It’s all very high end and you can tell that a lot of work was put into it. I’m still not sure about the CGI stuff, but as little clips here and there it’s not bad. I think it would be great if the video game attacks could all look like that. It’s a CGI style that I do like and I wouldn’t mind watching a whole film that way. The hand drawn parts are vastly superior but the CGI is pretty solid. So there is one slight negative here. It’s not quite something that would hurt the score, but a little noticeable nonetheless. The soundtrack here is considerably weaker than the last few. Battle of Gods had the fun Flow song, Resurrection F had a ton of themes that were all amazing. This one….fell flat by the end. I liked the trailer themes, those were hype when they showed up. Mainly the one from the original trailer is very epic and fits the suspenseful tone. Then for the climax we get an odd rap type song which really doesn’t work. The lyrics are painful as it’s just the main character names being repeated over and over again. It won’t take you out of the fight as it’s too well animated for that to happen but it doesn’t enhance the fight. A good musical theme should make a fight scene pop out even more or at least keep up the tempo. This one is almost Pokemon level (for some parts of the series) where you just want to mute the music so you can enjoy the fights more. It was really just this theme that fell flat, but since it played for the final fight you’ll remember it a lot more than you would like to. Considering that this is the only negative you can already see how the film is in a good spot. The writing is on point and the film’s pacing is excellent. While we get some comedy it’s handled pretty well as opposed to the iffy Roshi/Oolong type of scenes. Frieza’s wish is probably stretching it quite a bit, but the sooner we all acknowledge Frieza as more of a comic relief type villain than a serious threat the more it’ll start to make sense. He just can’t hang with the big boys right now, he’ll need some kind of big power up to do that. Overall, This is exactly what you want to see in a Dragon Ball film. Broly fighting the Saiyans is excellent and the fights are basically nonstop by the end. Keeping Whis and Beerus on the sidelines is always a good idea so they don’t get in the way of the real fighters. As always, it’s going to be very tough to top this one. If anyone can do it, DBZ can but it’ll still be a tough order. How do you top someone like Broly? Hopefully we don’t have to wait too long for the next film/TV series. It’s time for a big Dragon Ball game. The concept of fusing characters together to form even stronger ones is certainly nothing new. People have thought about that for years with Marvel and DC even getting in on the act. Until now fusions were quite limited though, but this game changes things on that regard. It’s finally a game built around the concept so you can fuse everyone together for quite a lot of interesting results. While it’s a very different kind of Dragon Ball game compared to the others, it certainly ends up working out quite well. The story follows a Saiyan Warrior named Terry. (At least that’s his name in my version) His rival is Pinich and they have decided to enter the Intergalactic tournament. Fighters from across time and space have been invited to attend but each group must have 5 members. Terry decides to form his team with Goku from the original Dragon Ball series, Pan from Dragon Ball GT, Goten, and Trunks. It’s a pretty potent team and they will be the ones who appear in all of the cutscenes but you will be able to switch them out pretty early in the story. Alas, getting to the tournament will be difficult as the heroes must get a lot stronger to prove that they are ready. To this end, they must recruit a great number of fighters and shatter all of the sky barrier preventing them from reaching the tournament. Legendary villains like Broly, Omega Shenron, Frieza, Cell, Buu, Janemba, and many others seek to block their way. Fortunately Terry has more potential than the whole franchise put together so there’s no way that these guys could hope to stop him. Will they win the tournament or does Pinich have a good plan up his sleeve? The stakes may not be very high until the end, but the story is still fun. The game certainly chose some unique members to be on the main team. I can see why Goku and Vegeta didn’t make it since they’d probably be a little too strong. 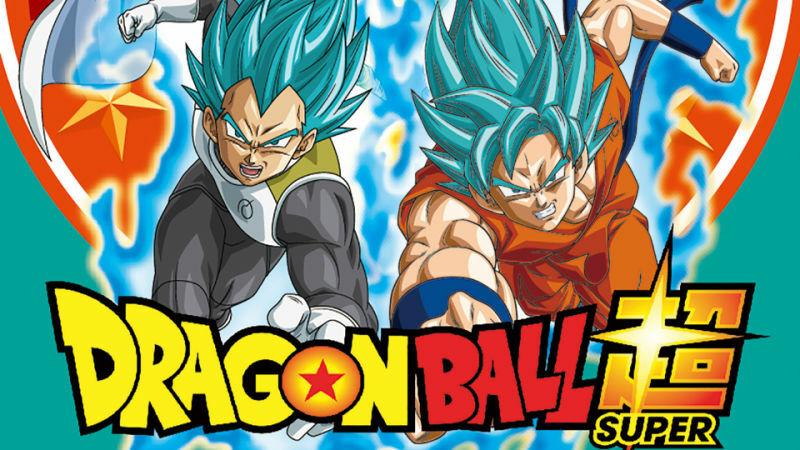 The series seems to take place around the Resurrection F arc of Dragon Ball Super. It’s cool seeing Terry have allies from the various Dragon Ball titles. We got to cover the original, Z, and GT. I suppose we didn’t get any Super characters because most of them are still technically DBZ characters. The climax is pretty fun as we get a really cool super form for one of the fighters. It was also a very challenging boss fight. The real final boss wasn’t quite as difficult compared to that one since nobody had healing abilities, but it was still tricky. Lets talk about the gameplay. Instead of the typical beat em up DBZ style, this game is more of a strategy title. Think the Mario/Rabbids game coming up or Yu Yu Hakusho. You move the characters around and attack. When you attack, you decide what direction to launch them in and the opponent gets to guess which way he should block. You always have to tactfully decide which direction is best based on where you think the opponent will block. Bouncing opponents off of each other will get you bonus damage. YOu also have an Ultimate Fusion attack which can defeat most foes in a single hit, but be warned that it means all of you teammates lose a turn so you have to fend off 5-10 consecutive attacks. I’d recommend only using it when you know it will defeat at least one character. You also have Zenkai Attacks which quickly turn the game into a 3D Brawler like Tenkaichi 3 for 10-20 seconds. It’s pretty neat although it clearly wasn’t the game’s focus so it feels hastily put together. You must defeat an opponent with this attack to recruit him/her to your team. What makes the gameplay a lot more exciting than other tactic styled games is that you aren’t limited to moving your characters one turn at a time. You can attack from anywhere with a few exceptions so the game is very fast paced. The weakness of this style is typically that battles can take forever, but this one feels more exciting. Yes, the battles still can be quite long so you’ll have to have a lot of patience with the game, but it’s usually very fun. The only matches that I don’t really enjoy are when the opponents have instant regeneration. Then you have to win in one turn which can take a while to set up. Sadly the later levels started spamming this quite a bit, but the battles like this are still few when looking at the grand scheme of things. I definitely got hooked on the gameplay by the end. There’s a lot of replay value here so you’ll have a lot to do. Doing everything in the game should easily take you 40-50 hours I’d say. The main story mode is about 18 hours long. After that, you can get to work recruiting everybody. There are a ton of actual characters to recruit and then all of the NPCs as well. Then you can fulfill all of the training requirements, buy all of the clothes, and beat all of the secret bosses. I wouldn’t bother with some of these things, but recruiting everybody sounds like a lot of fun. I recruited over 50 people by the end of the game, but no named characters. I didn’t actually do any side quests although I imagine most of them will be quite easy at the moment. I certainly would have done it already if there were trophies involved and as it stands I’d probably like to go ahead and do some more of the bonus content someday. Likely not anytime soon though. It feels pretty good to play a high quality title like this one after a lot of average-below average games lately. This one I would play for fun to level up and prepare for future bosses or just recruit extra people. It’s a game that I would look forward to playing each time. 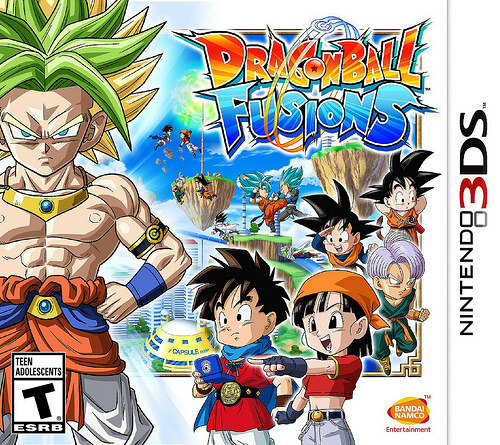 It may not be up there as the best DBZ game because there’s just too much competition but it may be the best DS/GBA/3DS DBZ game aside from Extreme Butoden and even then this game could claim victory. That one had the better gameplay but it was a little limited due to the 3DS control scheme. Fusions was just handled really well and having a full original story certainly helped. While Terry didn’t have much of a personality, Pinich felt like a real character by the end and he wasn’t bad. Perhaps a tad generic and lacking in honor, but at least he never went down the dark path or blamed Terry for anything. He took his losses better than expected. There are some power level issues in the story, but we’ll just say that Goku and friends were holding back so they wouldn’t hurt Terry’s feelings. Then everything makes more sense. I am a little upset that Terry never became a super saiyan though. That was a huge missed opportunity since everyone else basically could by the end. If there’s such a thing as too much content, I’d maybe say that there are too many attacks in the game. It’s not such a bad thing, but you get to learn new attacks after every fight. You can save them for later, learn them, or just drop them. I usually learned the ones that looked good and dropped the rest because saving them felt like such a hassle. There are various loading screens for each action and I just didn’t feel it was worth it. The problem is that each attack has a ton of different variations. There can be over 10 different Kamehamehas that have different special abilities. That isn’t even counting other versions like the Super Kamehameha. It would be nice if you could just level up your abilities instead of hoping an enemy can drop you a better one at some point. It’s not a big deal though because you can ignore this for the most part and do quite well. It’s not really something that you have to worry about. Overall, I would definitely recommend Dragon Ball Fusions. It may not look like it would be your thing from afar since the whole strategy turn based combat thing isn’t for everyone, but it’s pretty fast paced. I think they did as good a job with this game as they possibly could have. The huge amount of content in the game is also quite impressive as well as it assures that you won’t run out of stuff to do. It’s going to be a little rough not having a DBZ game to play for a while, but maybe it’ll be time to finally go back to the Card games that I own for the GBA and DS. That gameplay may not be quite as good as Fusions, but maybe it’ll have aged better than I gave it credit for. Perhaps…..
It’s good to finally have the show dubbed! Now I can officially say that I’ve seen the hit sequel to DBZ. Good things are to come! I shall have a review for this series when it is finished in America.